Portrait mode is a word a lot of us use for the bokeh effect snaps we now take with our dual camera phones. You know, taking single subject images and blur out everything else in the backdrop. But a year back, it wasn’t there at all. It was introduced with the iPhone 7 Plus dual cameras and it was really sloppy back then. But now after a couple of software updates it’s improved a lot and is great to use. Now these dual cameras have become ubiquitous with Android and so has the background blurring that is the staple of Portrait mode. Its also improved a lot from the previous quality but not all can imitate the DSLR standard. Google’s Pixel 2 is one of them that gets close to the high DSLR standards even with such a small lens. But that’s where its secret ingredient is, in the software. You see, to achieve the shallow depth of field, smartphone cams use software to seperate subject and object and background. Then they highlight the subject with edge detection. Google’s Pixel 2 nails it very well in this regard. So, with Google’s Pixel 2 secret HDR+ software recipe, devs experimented it on other phones. They found it improved the quality of their pics drastically, all with just Google’s algorithms. 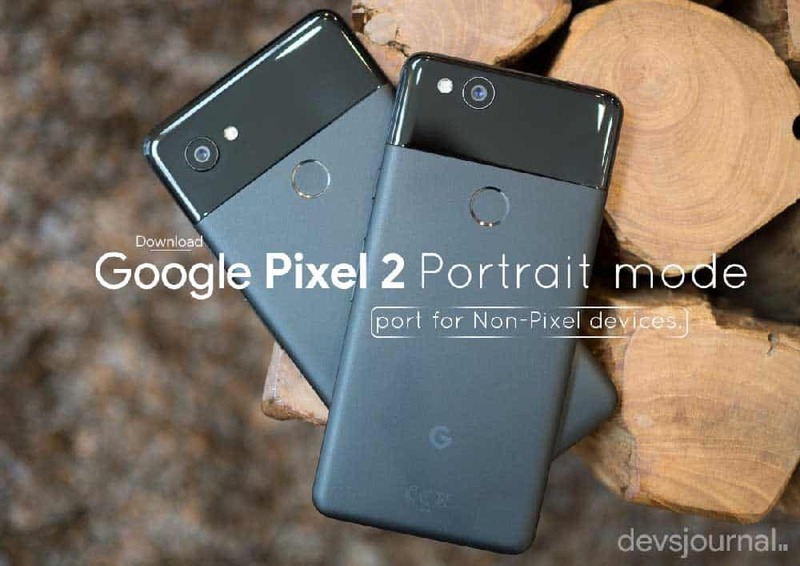 Now, the Portrait Mode was thought to be a Pixel 2 exclusive feature but with some sweat and toil by XDA devs, it worked on other devices. Hence, the Portrait mode feature of the Pixel 2 was ported to non-Google devices with Android 8.0. Huge thanks to XDA Senior Member Arnova8G2 who made this possible by modifying modified Charles_l’s Camera NX 7.3 app to work on non-Google devices. The best part is it doesn’t require root. Also, after some more work, the portrait mode can now also work with front cameras. While there’s no list of supported devices, some devices show no change in the image quality after using the Pixel port. It seems like many 64-bit devices running Android Oreo are compatible with Arnova8G2’s port of the Pixel 2 Portrait Mode feature. The camera was tested on some of this devices, Xiaomi Mi 5/5s on LineageOS 15, OnePlus 3 & 3T on OxygenOS 5, Moto G5s Plus, and reportedly even the Samsung Galaxy Note 8 running the leaked Oreo beta ROM. Just download the APKs linked here and you’re good to go with the new port. If the above Camera port doesn’t work in your case, you can try the below version which claims to have better focus and support taking a portrait picture through the front camera. Try it out! Make sure to enable “Unknown Sources” option in Android settings to install third-party apps. 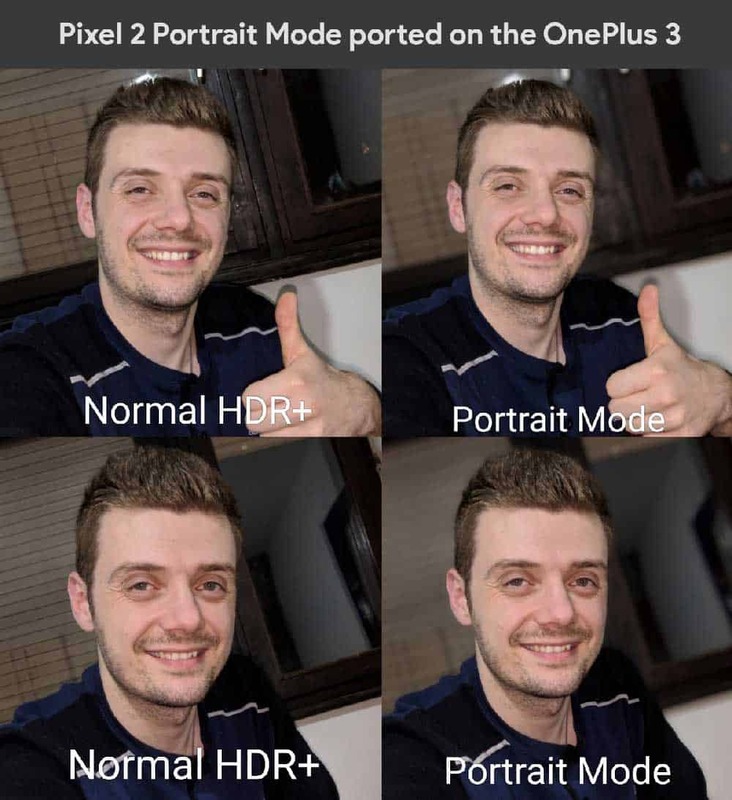 Some people don’t prefer the portrait mode as they believe, their photos should provide clear view of everything, so that you actually remember the time when you where there. While I do believe this, there’s no doubt, a focused subject looks more appealing. Personally I believe, portrait mode is useful while taking photos with a busy background where you don’t want to get lost with the crowd. Keep experimenting with it, there’s whole new possibilities.